Ubuntu 18.4 is running extremely slow and laggy in VirtualBox 5.2.16 I have added latest guest additions and it didn't help. the RAM I have allocated to it, is 4096 MB and it has 2 cores for it with 3d acceleration on and I have nested paging enabled and VT-x/AMD-v enabled with the execution cap at 100% and I/O apic enabled vram is 128MB and 30 GB of storage. I installed copizconfig settings manager and in OpenGL I unchecked frame buffer object and vertex buffer object which didn't help. how can I make it faster and smoother??? Try unchecking the "Enable 3D Acceleration" checkbox in the Display tab in the VM settings. It seems counter-intuitive to me but it has sped up several Ubuntu VMs for me on several different hosts. I have found a reasonable solution that works for me. I have been struggling with this for a long time with a pretty good spec Windows 10 host and Ubuntu 18.04 guest that was totally unusable due to slow graphics, and I read tons of different suggestions that made minor differences but nothing made it useable. What I have noticed is that (for me) in full screen mode everything lagged so much that it stopped re-rendering until I moved the mouse, then the blocks I hovered over would re-render. However in normal windows (maximised but not fullscreen mode) the lag was minimal and totaly useable. What I found to work for me is to use a resolution that leaves a slight gap on all edges. This should still make it bigger than normal window mode and I'm sure some xorg gurus can tweak it to within a pixel of the screen edge. Find the host resolution and then go to fullscreen mode, set the guest resolution to (ideally) the same ratio but slightly smaller than the host. My thinking is that if the guest is not touching or going beyond the host screen, rendering calculations seem to respond fairly smoothly. Don't ask me why, it is just an observation. Virtualbox will recognise and remember different display devices so if you use your box on different monitors, don't forget to do the same for that monitor and then Virtualbox will remember everytime you switch monitors. 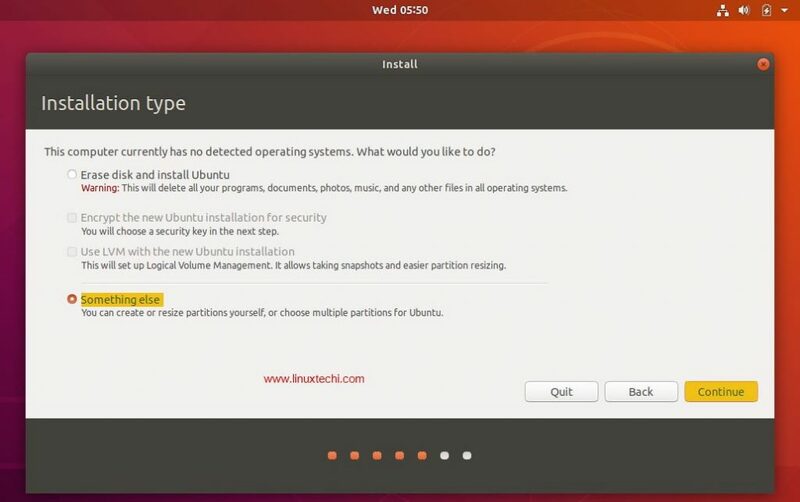 During the installation of Ubuntu, instead of using the automatic partition, do a manual partition. It fixed my slow issue. Hope it will work for you also. Not the answer you're looking for? Browse other questions tagged virtualbox 18.04 or ask your own question.